Stunning – is just one word that could describe the work of LA based artist, Cate Parr. 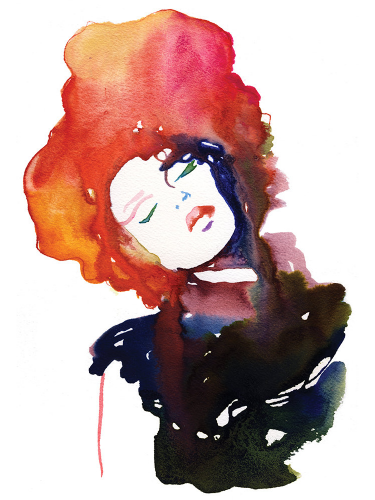 Combining lush watercolor with high fashion, her work exudes a modern interpretation of elegance and beauty. Spicy brights bleed with cool hues giving the artwork an atmosphere that is dreamy, mysterious, and aloof. While most of Parr’s work are portraits and magazine covers, like Vogue, other works include architecture and nature. Original watercolors range from $500 to $1000, but archival quality prints are available from $20. Whether original art or reprint, Parr’s artwork would make any place feel a little more fabulous. Both original watercolors and archival quality prints are available through Cate Parr’s Etsy Store.